A median on University Drive between Wellborn and Tauber. Reconstruction of ramps at Wellborn and University. A new traffic signal at Boyett and University Drive with pedestrian crosswalks. 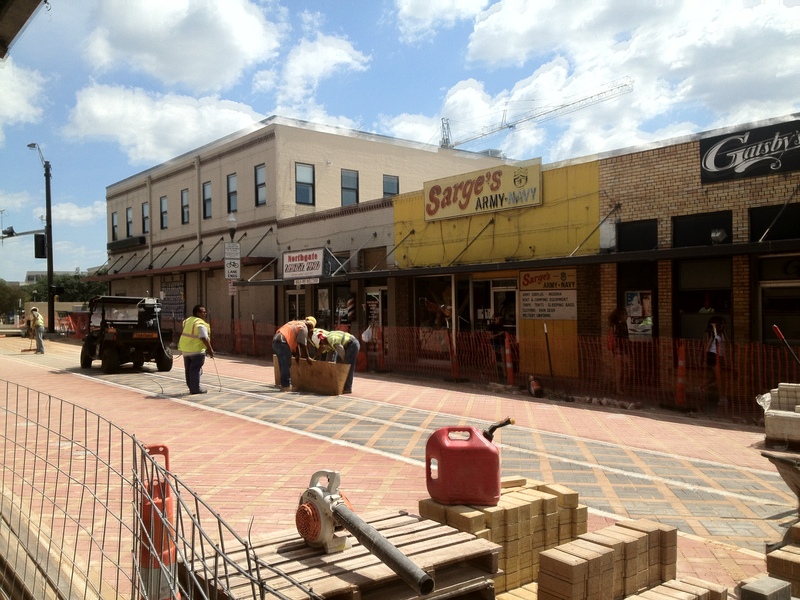 Wider sidewalks along the north side of University. A pedestrian barrier adjacent to the new sidewalk between Boyett and College Main. A loading zone between Lodge and College Main. A bicycle and pedestrian crossing at University created by modifications to Houston Street and College Main. A plaza along College Main between University Drive and Patricia. 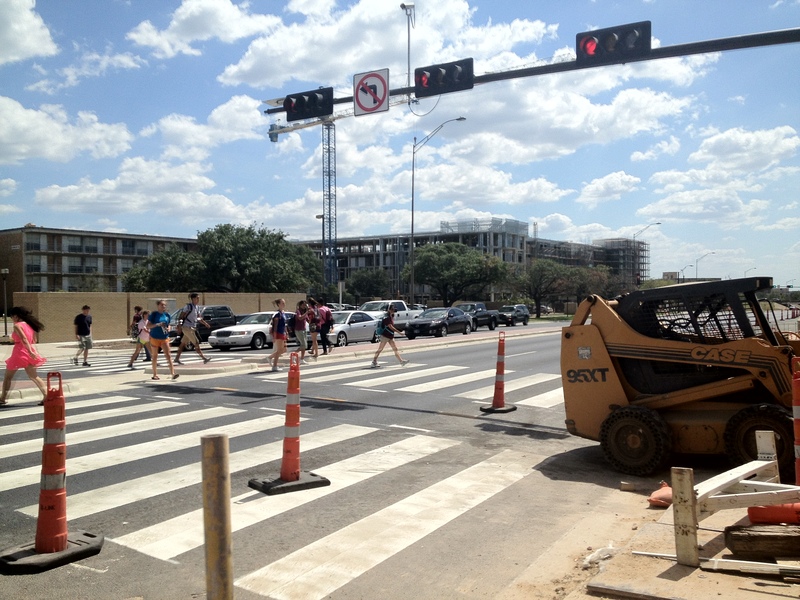 The most notable change is the bicycle and pedestrian crossing on University at Houston and College Main. The traffic signal will remain to help pedestrians and bicyclists get across safely, but vehicles can no longer cross University. Traffic on campus will now enter University Drive from Asbury Street. Another major change concerns the stretch of University between College Main and Lodge Street. Previously free parking, that area is now a loading zone. Non-commercial vehicles attended by the driver will be allowed up to five minutes to load or unload. Construction on Phase II of the project, which will run from Tauber to South College, will likely begin in the spring or summer of 2014. When that time comes, we’ll once again battle traffic congestion and the inconveniences that go with it. But in the end, we can all rest easier that the Northgate District will provide a safer, more pedestrian-friendly environment. This entry was posted on August 29, 2012 by City of College Station. It was filed under Capital Projects, Public Communications, Public Works, Traffic and was tagged with Northgate, pedestrian safety, projects, public works, Traffic, Transportation.